Sometimes nothing else will look right in a room but a glider. The exposed rockers give the chair a comfortable yet stylish look, and can add just the right touch to any sitting area. 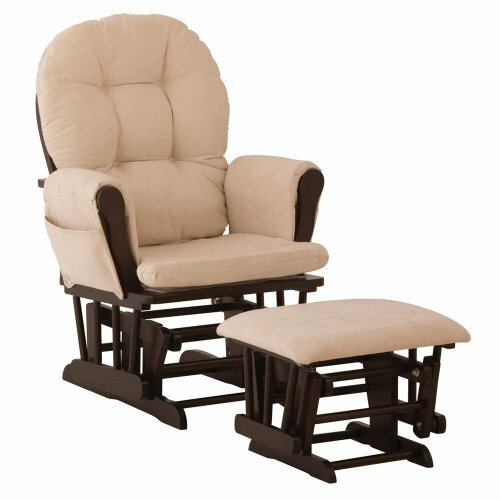 The gentle rocking motion of the chair is relaxing and soothing, and a glider is a perfect addition to any nursery. Whether you are rocking an infant or relaxing with a good book, there is nothing quite like sitting in a cozy glider. When you are looking for the best furniture glider, one that you should consider is the Stork Craft Hoop Glider and Ottoman Set. One look at the soft cushioned back and seat along with the matching padded ottoman will have you falling in love. The exposed wood frame only adds to the chair’s appeal, and the stylish design makes it a perfect glider for any room in your home. The hoop style glider features a roomy seat that is exceptionally comfortable, along with a padded back and arm rests. The padded seat cushion keeps you comfortable for hours, without numbness in your lower extremities. The back pillow relieves tension in your lower back, while the padded sides give your arms a comfortable resting place. Rock or sit for hours without feeling any of the normal aches and pains. The matching ottoman is also cushioned and provides your feet and ankles with comfortable support. With the smooth, quiet gliding motion of the chair you can rock yourself and your infant to sleep. 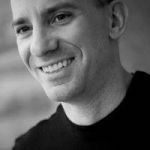 The even movements are soothing and relaxing, which is exactly why you needed a glider. The glider’s motion is easy to get going, and will keep an even tempo with just an occasional push from your foot. The comfy seat cushions are removable for quick spot cleaning, though it is important to remember to not put them in the washer. 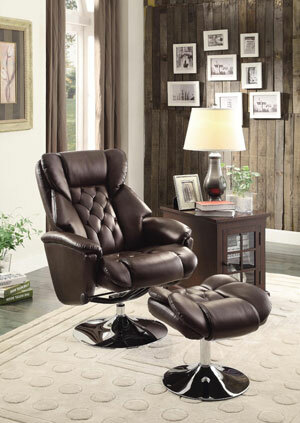 The glider frame is constructed from a natural hardwood that is polished to an elegant sheen. With supporting dowel rods for the chair’s base and back, it is designed to last for years of enjoyment. Assembling the glider and ottoman only takes a few minutes, especially since the footrest arrives already in one solid piece. 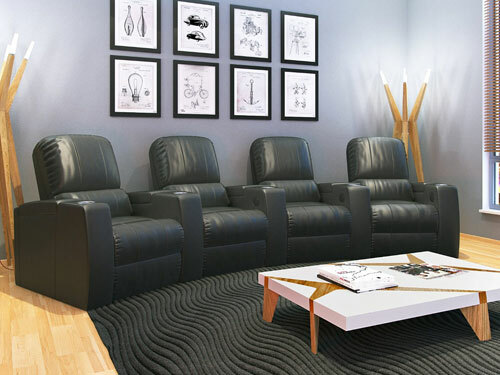 The glider consists of attach the arms and the gliders to the base and back of the chair, and then adding the plump cushions. 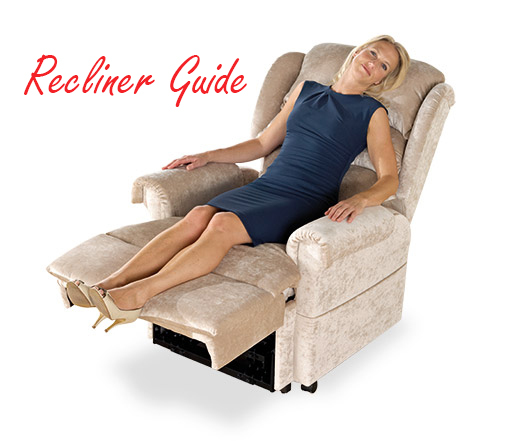 Within minutes after opening your glider and ottoman set, you can be gently rocking and enjoying your new chair. The comfortable and elegant design of the chair looks great in any room. 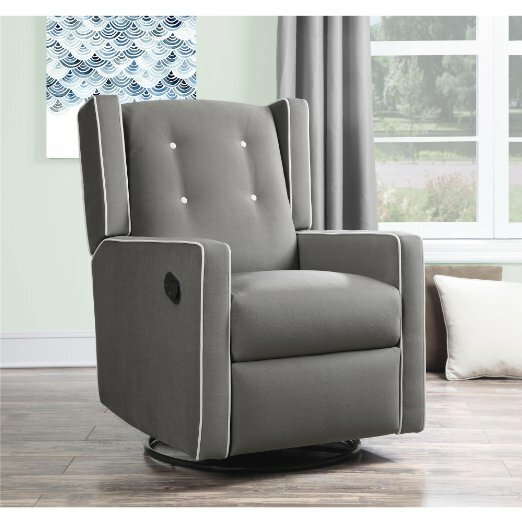 The exposed wood gliders and hoop design add to the chair’s appeal, while its ability to keep you comfortably rocking for hours makes it a great addition to a nursery. Prop your feet up on the footrest and settle back with a magazine, the convenient side pocket makes sure that you can always have something close by to read. If you have your heart set on getting a glider, then this might just be what you were looking for. The seat measures 18 inches for plenty of roomy support, and the wooden frame can support weight up to 180 pounds. Easy to put together in minutes, and the ottoman arrives preassembled. Quiet gliding motion is perfect for rocking infants to sleep, and also for helping you to relax. The back, seat, and arm rests are all padded, along with the matching footrest. Durable wood frame and hoop design make it a perfect addition to any room in your home. Next Article Is Your Recliner Causing Your Back Pain?